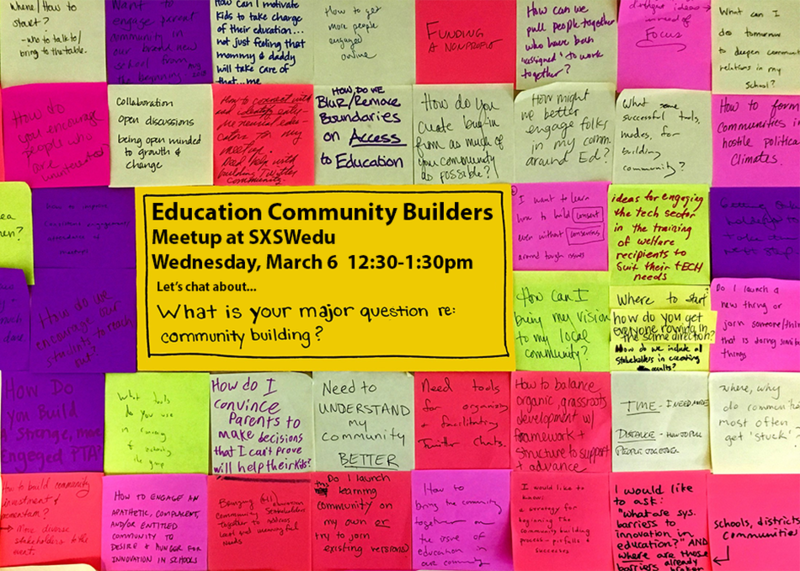 Education community builders bring together people and organizations to improve learning opportunities in their community. We will bring together community organizers, meetup hosts, event planners and organizational leaders to share best practices on building and growing our communities. We'll share tips on programming, recruiting and inspiring volunteers, and making your community sustainable. You'll choose from various community-centric subtopics to chat, share, and learn about.